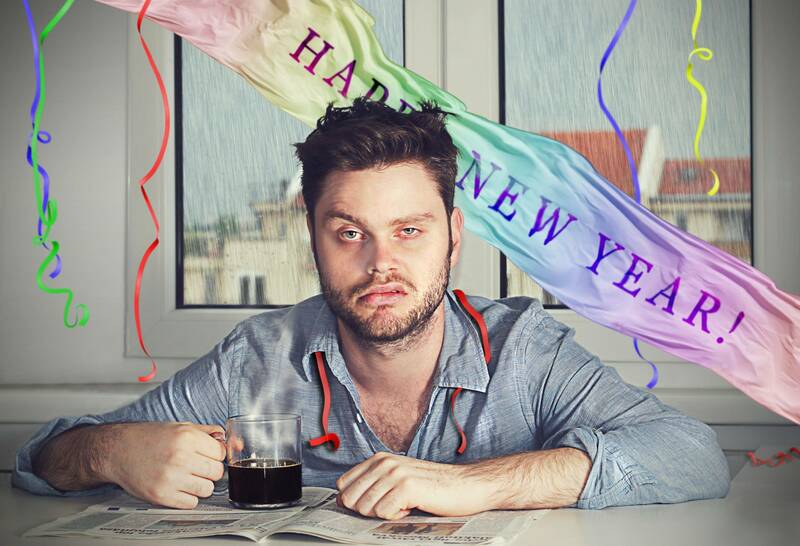 It’s New Year’s Day, which means that many of us are experiencing a hangover. We’ve all had them before - well, 77% of drinkers anyway - and despite their often horrendous nature, they don’t seem to put us off getting boozy. But why do we actually get them, what is it about drinking too much alcohol that makes you feel like you want to crawl into a hole and cry the next morning? Let’s find out some of the science behind the morning after. While we’re all familiar with the delightful symptoms of a hangover (headache, trembling, nausea, fatigue, dehydration, diarrhea, etc), scientists actually understand relatively little about what causes them. For many years, dehydration was blamed as the primary cause for hangovers. Alcohol is a diuretic, meaning it makes you pee more and hence makes you lose water. It does this by suppressing our body’s antidiuretic hormone vasopressin, which prevents you from urinating excessively. Also, if you’re shotting whisky or some other favorite tipple, you’re probably not drinking much water. But even after you’ve necked two pints of water as soon as you fall out of bed in the morning, you probably still feel dreadful. As Wired points out, scientists have found that, in general, the levels of electrolytes (minerals in our bodily fluids) aren’t significantly different between controls and people with hangovers, and even if they have spotted differences, they didn’t seem to correlate with the severity of the hangover. Furthermore, other studies have found no links between hormones associated with dehydration and hangover severity. So, dehydration probably isn’t responsible for the majority of your hangover, but it might give you a banging headache. These are an unfortunate by-product of your body attempting to restore fluid levels. Your blood vessels narrow, restricting the flow of blood and oxygen to the brain, which then tries to compensate by dilating its blood vessels, which can cause swelling. Although the brain itself can’t feel pain, the discomfort may result from pain receptors in the lining that surrounds our brain. So we&apos;ve covered headaches, but what makes our stomach churn the morning after? Alcohol actually irritates your stomach and intestine, causing inflammation of the stomach lining and delayed emptying of the stomach contents. It also causes us to produce more gastric acid alongside increasing the levels of pancreatic and intestinal secretions. Both of these can lead to that delightful nausea we often experience, or even cause us to throw up. One final intriguing hypothesis is that hangovers are actually the result of our immune systems. One Korean study found that people with hangovers also had high levels of cytokines, which are substances secreted by immune cells that are involved in inflammation and cellular communication. Normally, these help us fight off infections, but if you inject large enough doses into healthy people, they start to experience hangover symptoms like nausea, headache and fatigue. Furthermore, some lines of evidence have hinted that abnormally high levels of cytokines could disrupt memory formation in the brain, which could help explain why many of us wake up totally oblivious of our late night shenanigans. So why do some people get worse hangovers than others? Well, some studies have suggested that it could be due to age, but different studies have produced conflicting results. 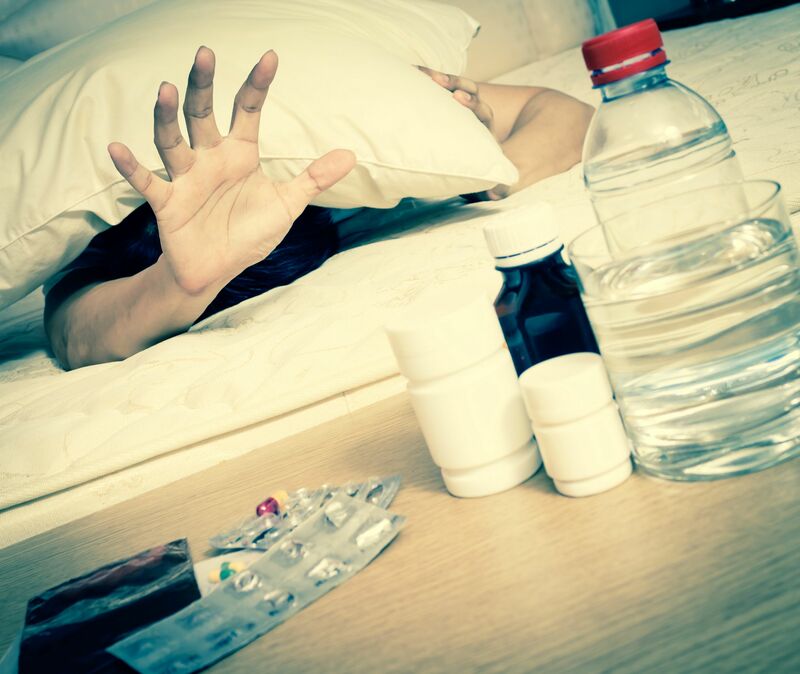 Some found that adolescents could tolerate hangovers better than adults, which has been supported by many animal studies, but a large Danish study that was conducted recently also found the opposite: hangovers actually seemed to decrease with age. It seems the jury is still out on this one. Another contributing factor is your choice of tipple. Different alcoholic beverages have varying amounts of compounds called congeners, which are sometimes produced during the fermentation process or added in afterwards. Some studies have found that beverages high in congeners, like brandy and red wine, are much more likely to result in a hangover than drinks with few or no congeners, like gin and vodka. However, a more recent study found that congener content didn’t actually cause differing effects on sleep, reaction time or memory the next day, despite participants reporting feeling worse on high-congener drinks. So, they might make us feel like dirt, but they don’t seem to be affecting our performance.